The FAO Schwarz flagship store on Fifth Avenue, which closed in 2015. 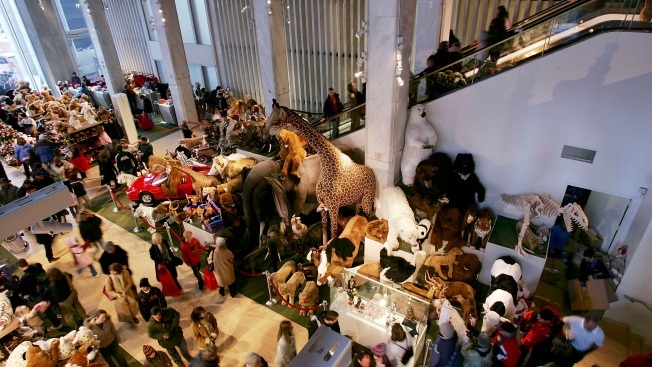 Two years after it closed its famed location on Fifth Avenue, FAO Schwarz is reopening a new store in the heart of Midtown, according to reports. The iconic toy store will be moving to a new space at 30 Rockefeller Plaza, about eight blocks south of its old location at the General Motors Building on Fifth Avenue, the Commercial Observer reported. FAO will occupy the 19,000-plus-square-foot space currently home to the NBC Experience Store. NBC is headquartered at Rockefeller Center. The new store will span the ground floor and mezzanine level at Rockefeller Center, according to the Commercial Observer. Details of the “long-term” lease haven’t been revealed, but the store is set to open in fall 2018. ThreeSixty Group, a provider of branded consumer products to the nation’s largest retailers, announced in 2016 that it had acquired FAO from Toys “R” Us.